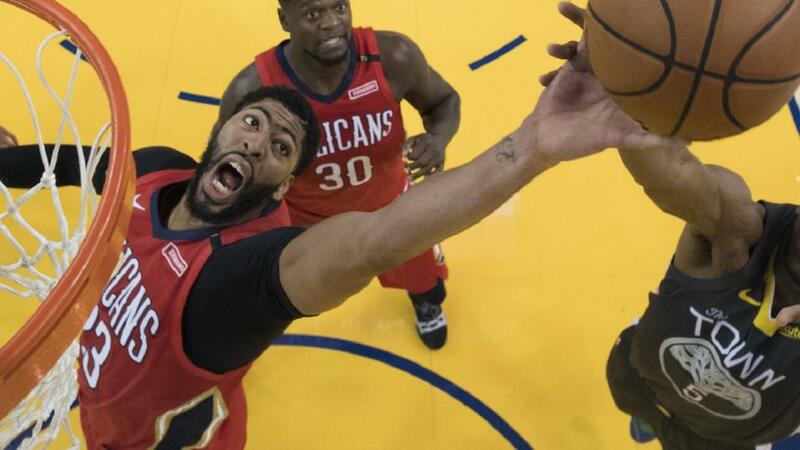 "Anthony Davis has recovered his early season form after an elbow injury saw the Pels go 0-6 after starting 4-0. Those losses included a five-game tear of road beatings. However, with their focal point back, they gave the roaring Raptors a first home loss last time out as 9.5 point underdogs. They look like they're kicking back into gear." The T'wolves finally admitted defeat on Saturday. Jimmy Butler and his "general soreness" can pick up some brotherly love in Philly now. The zombified carcass of Markelle Fultz's confidence should expect a finishing blow shortly with a teammate as supportive as Butler in town. Minnesota's season may also have an undead vibe from here on thanks to the whole Butler trade farrago. Karl-Anthony Towns has played a lot better numbers-wise when Butler sat, but it wasn't enough to carry the team to many wins. In the viper pit of the Western Conference, those losses could be crucial. Towns showed again in their first game post-trade, where NOLA beat Brooklyn by seven with their star man collecting 25 points and 21 rebounds. That was their first win in five. It was impacted by Caris LeVert's injury. The Nets played the whole second half without their leading scorer, and that was compounded by the emotional weight of what was taken at the time to be a possible career-destroying injury to the franchise's key young player. How impressed we should be by the Wolves pulling out a seven-point win in the fourth on home-court is a question many will fairly ask. New Orleans might answer it tonight. Anthony Davis has recovered his early season form after an elbow injury saw the Pels go 0-6 after starting 4-0. Those losses included a five-game tear of road beatings. However, with their focal point back, they gave the roaring Raptors a first home loss last time out as 9.5 point underdogs. They look like they're kicking back into gear. When teams make trades it's always hard to know if the disruption helps or hinders, because opponents are playing without much info on how all the new pieces will fight together. Robert Covington and Dario Saric will give Minnesota more of a three-point threat, though how they fit in the line-up, and where, remins to be seen. With much up in the air about Minnesota, it's hard to make a strong call on Sky's televised game this evening, but the Pelicans at the moment look a better team, so the -1.5 on the handicap appeals. This isn't a great spot for Cleveland, travelling after a game last night versus Charlotte, but it sure looks a lot better when you've walloped a team who were nine-point favourites over you. This season's taken time to get going for the Cavs and Wizards. Cleveland were still reeling from fall off post-LeBron. Any team would be. They've put coach Ty Lue out to pasture and lost Kevin Love to injury as well. At least there's a clear explanation for their form though. Washington seem to have just inhaled some noxious fumes that have turned them from an amusing sidekick in the Eastern Conference drama to a background extra. Or rather, it looks like belief has drained from the organisation. Their defensive effort has been atrocious, a sure sign of morale falling. Players look to be thinking more of themsleves than the team. The club could be in for a shake-up from the top down if things don't come together soon. They have managed to cover and win in their last two games. That's encouraging. The season may not be a write-off yet. They're division is so weak too they should be able to recover these few early losses. At the moment though, you'd be find it hard to back them as double-digit favourites, even against a Cleveland team as depleted as they are. Reports around Collin Sexton's attitude will slip away if he continues his upward trend - he was +24 last night. Without Kevin Love, Jordan Clarkson's their leading scorer, and while they're destined for the doldrums this season, playing hard againsrt teams as erratic as Washington isn't much to ask. The Cavs are 5-1 against the spread on the road this season, soa handicap of +11.5 at [1.91] looks reasonable here. This'll be a real contrast in styles. Milwaukee are back at home after going 2-2 on their western road trip. They lost to Portland and the Clippers in overtime, but fought back in subsequent games to beat the Warriors and Nuggets, two prized scalps. They've skipped marginally ahead of Golden State too at the top of the scoring-rate stats, and are first in scoring margin, winning their games by a full two points more than Steve Kerr's team on average. They're the most powerful offence in the league right now - and in case GSW didn't get the message, they waxed them in the Oracle Arena by 23 points when they met last week. When you look at the defensive stats, you see the Grizzlies occupying similarly lofty positions. Their most impressive feats have been taking out Utah twice this season and downing the in-form Nuggets. But you would wonder if their impressive stats are partly down to the strength of opponent they've played. That leads me to look at the Bucks here as potentially hitting 120 or more - the Warriors posted 117 when they beat Memphis - and the Grizzlies should be able to top 100 as the Bucks are nothing special defensively. As such, the over on 216.5 total points appeals.